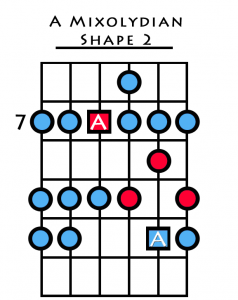 The major pentatonic scale is a wonderful, simple way to add colour to your blues playing. 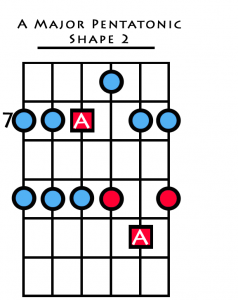 It is a warm contrast to the minor pentatonic/blues scale and is often used right next to the minor pentatonic to suddenly ‘lift’ a solo into a happier, major territory. In this lesson you will master it’s unique sound and learn some great major pentatonic licks for guitar. This is exactly the same pentatonic lick played twice, the second time it is shifted down 3 semitones to create the major pentatonic sound. 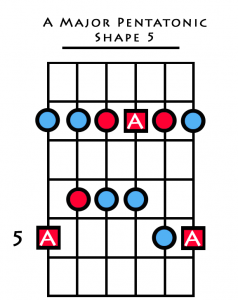 If you remove the notes on the 8th fret on the 5th and 6th strings, you will see that they are the same scale. 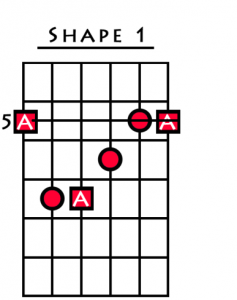 The major pentatonic scale is like a stripped down Mixolydian mode. 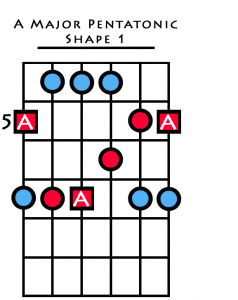 While it is a handy trick to be able to shift your minor pentatonic lines down 3 frets, it is obviously important to be able to see the major pentatonic scale as an entity in its own right. 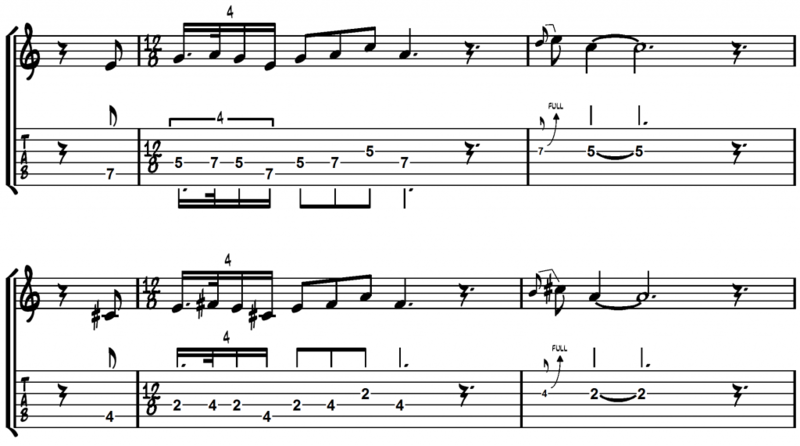 The major pentatonic scale sounds fantastic over a dominant or major style blues, but it doesn’t work so well over a minor blues. It is used a lot in country music and for all those ‘Hendrixy’ double stops as you will see in the following 5 examples. 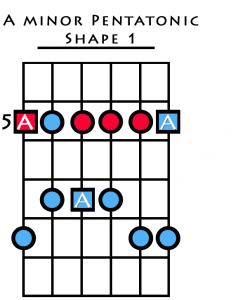 As with the Mixolydian mode, major pentatonic scales are freely combined with the blues scale for a rich flavour.